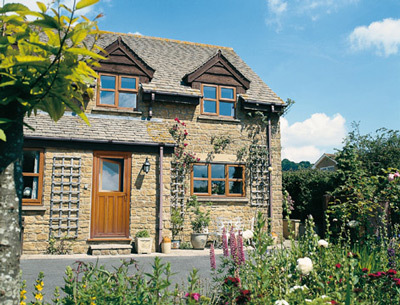 Stable doors are highly prized by those who really appreciate the British countryside outdoors and want to retain a charming farmhouse or traditional cottage look. But they are very practical as well. A stable door comes in two halves for double use versatility. Stable doors can function as one door, or the top and bottom halves can be operated independently to allow fresh air into your home whilst keeping your children and pets secure. The top half can be left open to give you that " outside" feeling. A stable door ingeniously combines the purposes of a door and window without requiring the space for both! Our outstanding range of Stable doors are low maintenance, high security and energy efficient with up six times the insulation of a comparable wooden door. Choose from an excellent array of options that can be "Secure by Design" approved. For an even more personalized appearance, doors can be coloured to your choice from our range of authentic woodgrain or paint look options. Whether you want you doorway to open inwards or outwards, the stable door may be just what you are looking for and you may not have realized they were available in modern materials designed to avoid re-painting or staining ever again. We tie in with the market leaders for Stable Doors to save you the search and offer you the best available at low prices. Due to its two part nature, a sophisticated seal is essential around the door opening and particularly across the centre join and threshold seal. 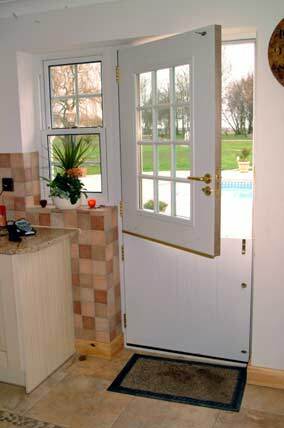 Bahama Stable doors take care to avoid draughts that could also result in noise penetration. Wooden Stable doors are notorious for this. No shrinking or excessive expansion problems. No chipping, peeling or beading hanging off. No more time wasting labouring. Just a wash down now and then to remain looking good as new.